Rubber Room Ramblings: ANOTHER LABEL LOVE CARD! One more swap card from Nancy! I love the way Nancy used the punch to make little "peek-a-boo" holes on the front of her card. I think this is a really nice technique, and I will definitely be using it in the future! We have one more card from Nancy, and then we will move on to another swapper and another new product from the new catalog! MORE FROM THE TAG IT STAMP SET! THE LAST REALLY GOOD GREETINGS CARD! REALLY GOOD GREETINGS ONE MORE TIME! THE UNDEFINED STAMP CARVING KIT IS HERE! 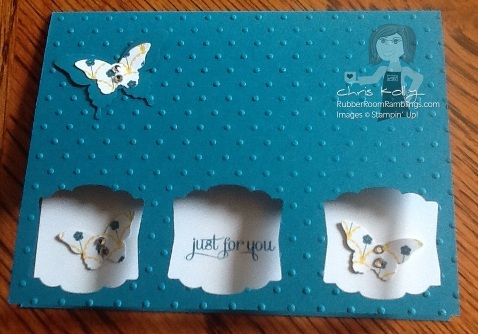 ONE MORE LABEL LOVE SWAP CARD! CAN I MAKE IT TO 109,000? MAGNETIC PLATFORM FOR THE BIG SHOT NEWS! PICK A FREE PROJECT KIT! SO SHELLI BEST OF 25 YEARS!